A person's fingers are vital tools for engaging in regular day-to-day life. Therefore, when finger joint pain is experienced, it can be especially painful. 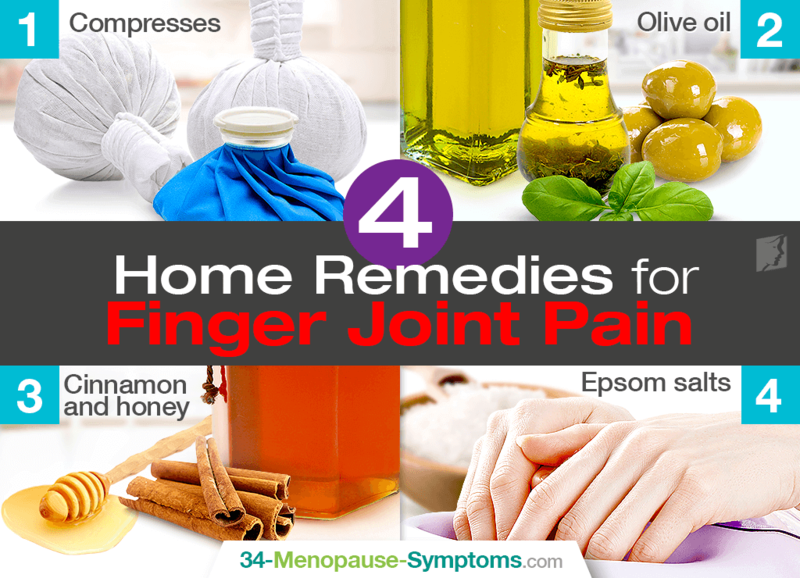 Fortunately, many remedies exist to relieve finger joint pain. Read on to discover various relief methods that can be carried out at home. The application of hot and cold compresses to sore joints is an effective way of providing relief. While each can be used individually, alternating between the two is the best option for alleviating your symptoms. Apply a cold compress to your fingers for 10 – 20 minutes before switching to a hot compress for the same amount of time. For best results, repeat the process two times a day. Because olive oil contains phenolic compounds with excellent anti-inflammatory action, it can be used to relieve the sensation of painful finger joints. When cooking, try to use olive oil as a healthful alternative. In addition to cooking with olive oil, the oil can be used to massage painful finger joints. For best results, warm the oil up to a comfortable temperature before gently rubbing it into your skin. This remedy also works as an excellent natural moisturizer. In consuming this mixture, you'll benefit from not only its excellent healing properties, but also the tantalizingly tasty results of combining cinnamon with honey. Honey's antiseptic qualities are thought to be responsible for its ability to ease joint pain, while cinnamon is deemed effective because of the antioxidants it contains. Add half a teaspoon of cinnamon to a tablespoon of honey and drink the mixture every morning with breakfast, mixed into tea or water. You'll notice the combination's positive effects within the first week. One option is to spend half an hour of each day relaxing with your hands soaking in a bowl of warm water and Epsom salt. Due to the magnesium sulphate content of Epsom salts, the product offers an effective reduction of inflammation and its consequential pain. You can also mix the salts with warm oil instead of water and massage the mixture into your fingers between soaks for 20 minutes more. Your fingers are one of the most troublesome parts of the body to experience joint pain. Adopting these home remedies in your daily routine can provide natural relief from this bothersome symptom. While anyone can experience joint pain, especially with age, in menopausal women, joint pain is primarily related to hormonal imbalance. Read on about alternative treatments for joint pain. Manage the pain in your tender joints with these three tips for reducing inflammation in the body. Joint Pain and Swelling: What Should I Do? Whether you suffer from arthritis, have a recurring injury, or have an infection in your joint, these tips on what you should do cover all the bases. Menopausal joint pain can strike at any time, but tends to be a particularly prominent problem during menopause.